Pixie Kitchy was once Miss New Jersey. Now she's married to a dentist, an ex-quarterback in turtled golf pants. Her ten-year-old daughter, Mitzie, wears Bo-peep pincurls and twirls baton. Her sixteen-year-old son, Ezra, the person who knows her best, is caught up in his fling with the podiatrist's daughter. And Pixie is consumed by the past. She confides, "I was a housewife, and I became dangerous. Sometimes it's the only way possible to regain footing in the world." In this high-wire mixture of absurdity and pathos, hilarity and darkness, one American family finds out that there is no such thing as the perfect American family, and, for better or for worse, they come together and start anew. "An emotional and darkly comic examination of growth, loss, secrets, and lies." 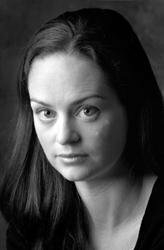 "Julianna Baggott enjoys living on the knife edge between hilarity and heartbreak, and that makes her a writer after my own heart." "This second novel establishes Baggott's remarkable talent for creating characters who resonate with readers." "A charmingly messy tale of love and redemption." 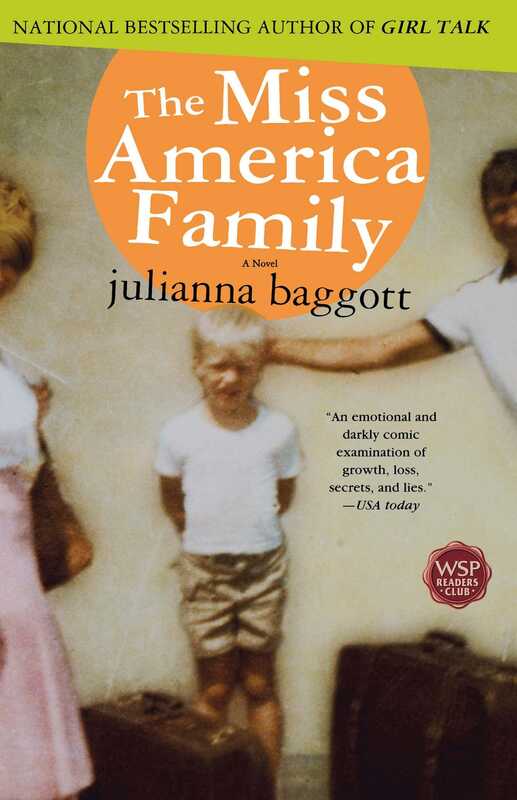 "Baggott employs a captivating narrative technique...the two narrators each [have] a compelling style and situation...The Miss America Family shows a pristine, innocent heart with a big, generous, optimistic message." "Combines the indigenous dysfunction of Phillip Roth's American Pastoral with the uninhibited disclosure of Russell Banks's Rule of the Bone. The result is a tumultuous domestic adventure with soul."